This week started out slower than usual with mainly Jacks being caught and a few small Snook and Reds in Estero Bay and Fort Myers. We had a cold front come through late last week and the water temps dropped down almost ten degrees. The Jacks however were ready and willing to eat, i have been using mainly cut bait and so far it has been producing well. Bait is available if you are willing to make the run to Sanibel to get it, but the good news is once you are there it doesn’t take long to load your well a couple throws of your cast net and you are done. 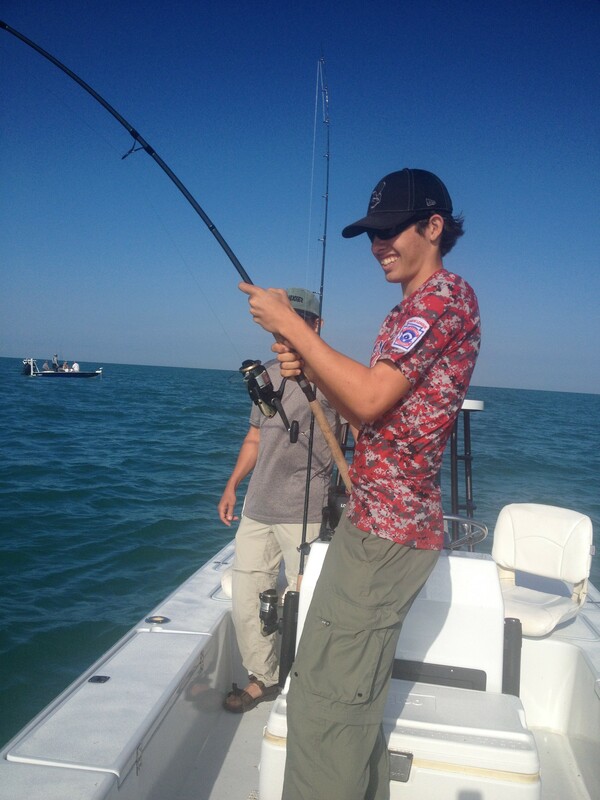 Later in the week just yesterday we also found the schools of Tarpon off the beaches and hooked up on a 150lber! These are the big migratory fish moving through our area on there yearly spawning pattern. It is pretty early so far for them to be here but we are not complaining! Finding them is a challenge and usually we rely on previous years experiences to make an educated guess as to where they will be. Once you do find them the biggest threadfins you have in your live well will do the trick. I use 7/0 Owner circle hooks and either 40lb, 60lb, or 80lb fluorocarbon leader. If the fish are spooky and you can’t get them to bite sometimes 40lb is the trick. You will lose more fish but its better than not getting a bite. The fishing is improving and the Tarpon now here will be here for a long time, usually until at least June. If you haven’t ever caught a Tarpon its a definite “bucket list” fish for anglers so book a trip today or get out and try to catch them yourself!